The Smells of the Off Season - the4pointer.com | Real Hunts. Unreal Stories. 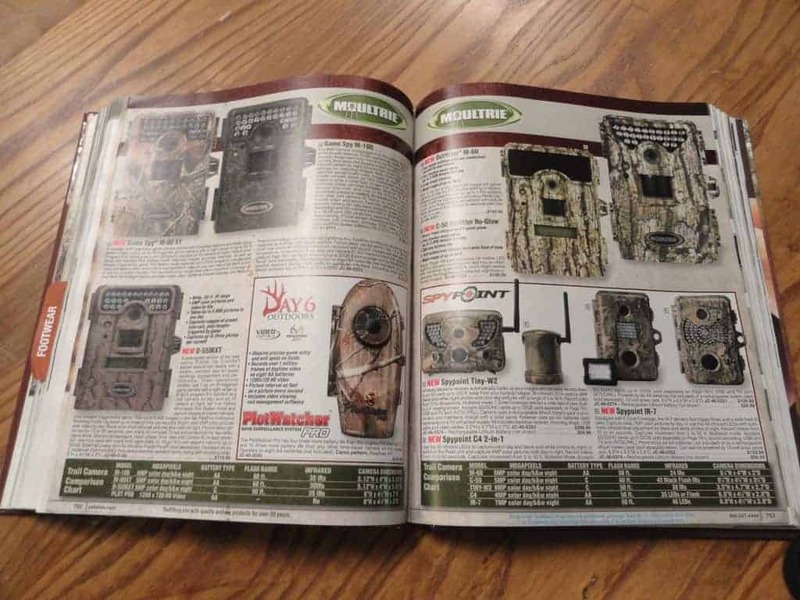 When I was a young boy I remember rifling through any hunting catalogs that came in the mail. Every year without fail I would purchase something from one of those colorful, make-you-wanna-buy pages and couldn’t wait for the box to show up on the doorstep with my new item. One year I bought a bow which was my biggest purchase by far, but most of the time I bought something like camouflage pants or shirt that made me stand out from the older generation and helped me blend in with the leaves. To be honest, I don’t remember many of the things I bought. Over time each exciting purchase has become just one of the many, but one thing I do remember well is the smell of those glossy catalog pages. There is just something about that smell that brings me back to a time and place when I was young and hunting season was on the verge of starting. The days were still hot but the anticipation of opening day was palpable in the cool evening air and for some reason that smell brings me back every time. There are other smells that take me away from reality and check me in to hotel Deer Stand too. Smells like freshly fallen leaves while mowing the lawn remind me of still hunting my way through the hardwoods or the apples in aisle 1 at the grocery store take me back to my tree stand overlooking a secluded apple tree. My backpack has a unique smell to it – one that can only be made after years of being carried around the woods and left to sit on logs, leaves, and snow while I sat waiting for deer. If I happen to catch a whiff of that during a midsummer clean of my gear watch out! I’ll be rendered ineffective for a week due to a sudden metal illness that can only be cured by hours of watching hunting DVD’s. The smell isn’t bad, that’s the problem. To me it smells like memories. Then there is the smell of gasoline which I would much rather be pouring into a four wheeler instead of my lawn mower or car. Or better yet, splitting firewood is always a winner. For some reason that always makes me think of building a ground blind within range of a well used deer trail. Oh, and what would an article about the smells of the season be without mentioning my Uncle Dan? I am apt to smell that particular scent any time I am with him and I it reminds me of getting dressed in hunting gear in the pre-dawn hours before a hunt. That and fresh air. It also reminds me of longing for fresh air. Perhaps I should just leave it at that. There are many more smells I could mention and I’m sure you have thought of a few of your own by now too, but I need to be going. There is a slab of venison sitting in a tasty marinade that’s ready for grilling and I’m just the guy for the job. Hey, that reminds me of the smell of fresh venison popping and sizzling on the stove top after a successful hunt. Thank goodness I have a piece of venison to tend to tonight otherwise I’d be a total loss until the season starts!